The book is based on the history of the Military Town, south of Pretoria. The ground it is situated on was part of Town grounds of Pretoria. With the conquer of Pretoria in 1900 the British troops over crowded Pretoria and Lord Kitchener decided to move them from the town area. He instructed a health officer to investigate the higher area south of Pretoria, which was still government property. With the results from the report of this officer it was decided to move the troops into these high grounds and to establish a Cantonment. Troops were then moved into the ‘Pretoria Cantonment’ and buildings were erected, which were imported from Britain and India. Even a railway line was laid from the now Lyttelton Station to the Cantonment in c. 1903. 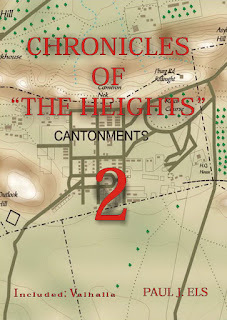 In 1904 the Cantonment was named Roberts Heights and by then it was a well established Military town with it’s own Military Institute building, a two storey home for the British Forces Commander, a Gymnasium, race course, shooting ranges, bases for Military units, hospital, streets with their own names, etc. By 1914 most of the British troops left the area to take part in World War I and the area was handed over to the UDF. In 1939 the town saw it’s name change to Voortrekkerhoogte to coincide with the laying of the Voortrekker Monument’s corner stone. On 19 May 1998, the name was changed once again to Thaba Tshwane The book covers the history up to this name change. Schools, Churches, Hospitals, Cemetery, Military Units, Military Messes, Training, Sports,Happenings, Streets, Buildings, etc. The main purpose of the Heights is training of soldiers from basic training to become an officer and/or General. 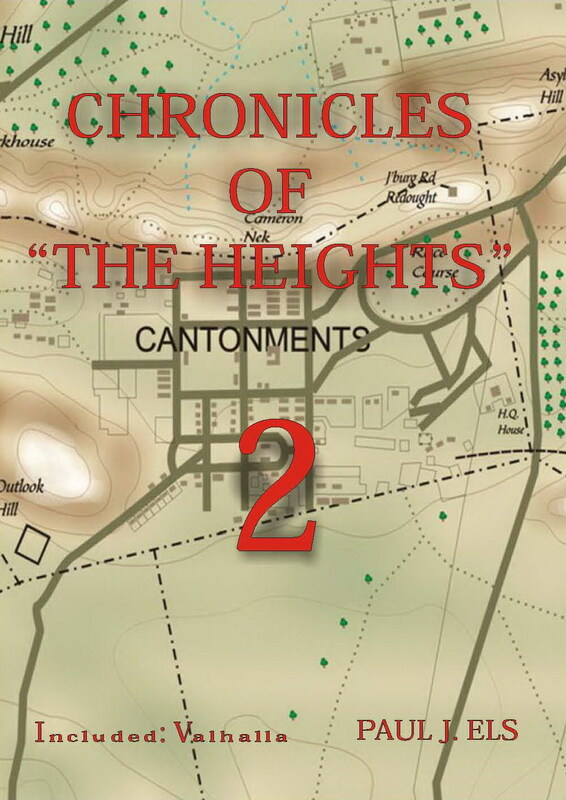 The chronicles of Valhalla, a suburb of Pretoria is included in the book and areas surrounding the Heights. The book is in two volumes, containing 726 pages, with over 1600 B/W photos.